Some hopefully excellent news for our friends in Europe - Nick Mason's Saucerful Of Secrets have added another 8 shows to their summer tour this year, including five concerts in Italy, plus Malta, France, and The Netherlands. These are in addition to the other European shows, already announced, in Germany, Switzerland and France. Some great venues there - historic, picturesque, and should be very memorable shows! As normal, we have been busy setting up a dedicated page for each of these three concerts which, with your assistance, will have all sorts of useful information, pictures, reviews and more. 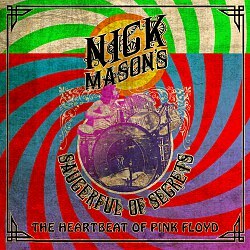 The pages can be found in the Nick Mason's Saucerful Of Secrets 2019 Tour Zone.